1. Association dues must be paid before one becomes an Active or Associate Member. 2. Active Members shall pay $30.00 dues annually to the Association, effective with the 1998 membership year. 3. Associate Members shall pay $12.00 dues annually to the Association, effective with the 1998 membership year. 4. Dues are payable by March 15. A membership whose dues are not paid by this time shall be considered terminated. New members joining the Association between August and January shall receive the rights and privileges of membership for that fall and also the next year. 1. Each fleet is required to file an annual report with the Association Secretary by January. The report shall consist of a list of the fleet officers, racing results, and membership roster. 1. Each fleet will keep fleet and membership rosters current with Association Secretary. 2. Fleet news, such as race results, new owners, classifieds, etc., will be sent to the Association Secretary and the Intercom Editor. 1. The owner of a yacht to be measured must pay a measurer’s fee established by the Executive Committee whether a certificate is approved or not. The Measurer must have disinterested supervision when measuring his own yacht. 2. To protest a yacht’s compliance to the Specifications and Bylaws, the protestor must include a $5.00 deposit, returnable only if sustained. 3. Fleets shall be responsible for enforcement of Association rules to govern sails, spars, hulls, and equipment in local races. 4. Each mainsail, jib and spinnaker purchased after October 1, 1976 must have a sail royalty label permanently affixed. The royalty is $5.00 for each sail. Labels may be purchased from the Secretary-Treasurer. The rules of the International Yacht Racing Union, as adopted by the United States Sailing Association shall govern all Interlake Sailing Class Association races held by the Association or fleet unless otherwise specified in the Notice of Race or when they may conflict with the rules of the Interlake Sailing Class Association, in which event the latter shall supersede. 1. The number of persons in one boat in a race shall be at least two and not more than three. Individual clubs may deviate from this requirement in club events open to club members only. In a National Championship Series or other sanctioned event, the crew for each race shall be named prior to the close of registration. The crew named must be carried either in the designated races or throughout all races of the event, the only exception being in the event of illness or other unforeseen circumstances, in which case the managing Race Committee’s written approval of a substitution(s) must be obtained prior to the race(s) in which the substitute is to be entered. 2. 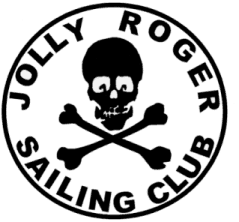 Only an Active Member, or their spouse, or their minor children may skipper in a sanctioned event. 3. Race position points shall be awarded to the eligible skipper, and not the boat. A skipper must sail the same boat in all races of a series unless given permission to do otherwise by the Race Committee. 4. An Interlake must carry anchor and line, PFD for each person in the boat, bailing bucket, paddle and throwable device in all sanctioned events. Such items must be acceptable to the supervising Race Committee. 5. In a sanctioned event, the person entering the boat shall handle the helm of the yacht through all races of the event except in an emergency, or during temporary adjustment of rigging or equipment, or while flying a spinnaker. In deciding any question, the intended meaning of the rule shall be considered rather than the technical misconstruction that might be derived from the wording. Extenuating circumstances cannot be taken into consideration insofar as a racing rule is concerned, if there was an actual foul, but may be taken into consideration in class rules or instructions if the wording requires interpretations and no deliberate attempt to gain an unfair advantage had been practiced. Precedent and the established policy of the Association shall be taken into consideration in interpreting any rule or regulation of obscure meaning or not covered at all. The rules of the Executive Committee, the National Race Committee, and the Measurement Committee shall be carefully preserved for reference. The Interlake National Championship Series, and district eliminations for Nationals if required, are Association sanctioned events. Any club or fleet may request Association sanction for Interlake Class events. If granted, the same rules and regulations as the National Championship Series will apply. The Association shall not be liable for any debts contracted by its Fleets or Officers other than expenditures authorized by the budget or upon written order of the President and Secretary.